Hospital executives frequently seek out practical benchmark metrics to assess the performance of their support services departments. Frustration about increasing costs, variability in industry benchmarks, costs of new technologies, gaps between performance expectations and deliverables, and lack of transparency by 3rd party vendors, is becoming more common. Even department leaders in hospitals struggle to explain the underlying problems that affect the operating department’s financial performance. With the financial pressures that healthcare organizations are facing, many hospitals use the traditional methods of cost cutting by looking at staff reductions. That’s a short-term fix that don’t create efficiencies in the underlying processes; and reductions in clinical teams can impact patient safety and quality. By employing Lean principles, an organization can improve financial outcomes by increasing efficiency, eliminating waste or redundant practices, and driving a focus on quality. They are a significant source of spend and tend to have a continued escalation of costs year-over-year. In a typical 400 bed hospital the spend in these categories could exceed $85M annually and on average is growing 4-7% per year. Is this common for your organization? Soriant works with over 200 organizations including large health care systems, medium IDN’s of 15+ hospitals, large academic medical centers with more than 1,000 beds, tiny critical access hospitals, children’s hospitals, and community hospitals all showing common financial needs/trends between these organizations. As we approach the end of the year these needs/trends become more pronounced as organizations are faced with budgeting for clinical program expansion weighed against the need for continued investment in the “Building Costs”. Are these common issues in your organization? Understanding what you should be paying is a critical first step to establishing budgets and financial targets for support services departments. Having a fact based budget or financial target with aligned operational plans means department leadership can spend more time focused on quality outcomes and less time worried about financial overruns. This makes accountability is less challenging because everyone is on the same page. Take environmental services for example, consider the process to perform a discharge clean. An estimated 80% of all improvements can be achieved through work standardization as opposed to increases in resources. A typical room cleaning process shouldn’t produce a significant amount of variation, yet room clean times often vary by as much as 50%. These discrepancies might be explained by staff capabilities, supply processes, and differences in cleaning approach. Ask 3 cleaning staff members how long it takes to turn over a room, and you will likely receive 3 different answers—or, “it depends.” But it shouldn’t. Identify standard work processes and implement accountability measures around the work processes. Establish “direct connections”, simplify task or work processes to get to the outcome in the most direct method. The lack of direct connections in healthcare processes is a substantial source of delay and waste. Utilizing visual controls is an effective way to influence performance in an organization. Key metrics should be made visible to the entire organization, measured and reported on frequently. For example, room clean times (an important component of patient throughput efficiency) will likely improve if the data is communicated on a regular basis and measured against a specific goal. Cost optimization may take on many forms, yet there remain key areas in which to focus. Removing excess cost and redundancy from the system, evaluating and restructuring businesses to assure community needs are met, and moving toward an integrated approach are all critical steps in achieving organizational success in today’s market. 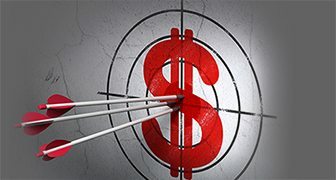 Soriant can help you define savings targets for your next fiscal year and work with your organization to create operational plans to achieve those savings. Our approach is simple, we provide exceptional people with proven experience to deliver best in industry practices customized for your organization. We stay engaged until the savings are realized and we insure that the tools and resources we develop for you create long-term sustainable improvement for your organization.